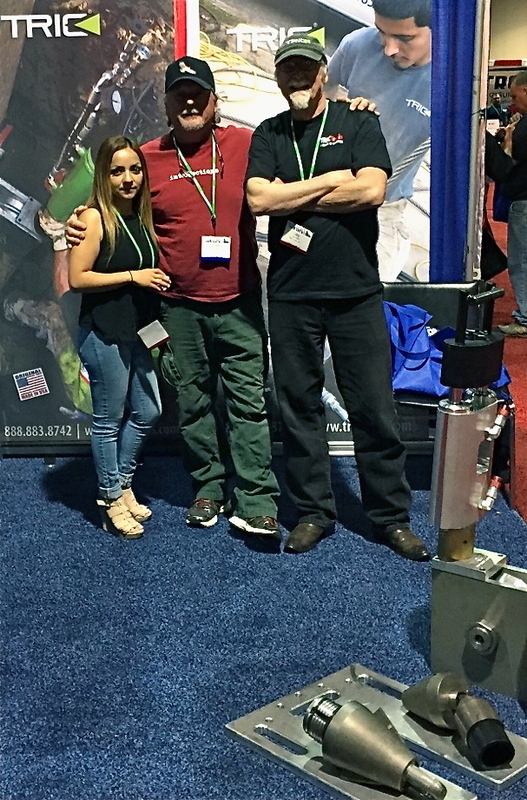 California Pipe Bursting Manufacturer TRIC Tools attends 41st Annual PHCC Flow Expo in Long Beach, CA. Adam was great and could easily entertain guests at practically any LA affair. California Pipe Bursting Manufacturer TRIC Tools enjoys supporting its customers. One of the organizations that TRIC works closely with is the California Plumbing, Heating and Cooling Contractors (PHCC). The PHCC Association gives Plumbing, Heating, Ventilation, Air Conditioning, & Refrigeration (HVACR) contractors the resources they need to be the best and to continually improve their services. While at these events, TRIC educates itself to the challenges these PHCC contractors face. While kicking off the busy spring trade show season, Assistant Manager Laura Servin, Sales Executive Jay Battin, Machinist Greg Lee represented TRIC Tools at the 41st Annual Greater Los Angeles Area PHCC Flow Expo on April 23rd. The event was held at the Long Beach Convention Center. TRIC has always enjoyed this show as there are numerous restaurants and night clubs near the Long Beach waterfront. The event was held from 9:00 am to 4:00 pm TRIC showcased its X30 lateral pipe bursting system. Approximatey 5000 attendees were at the day long event. The previous evening, Jay Battin and Greg Lee attended the PHCC Welcome Dinner. Here, California PHCC President Louis Senteno greeted guests to the event. Also at the dinner were Los Angeles Roto Rooter’s Julio Jaime and Lighthart Construction’s Roger Lighthart. Both Julio and Roger have been long-term business allies and long-term TRIC customers. 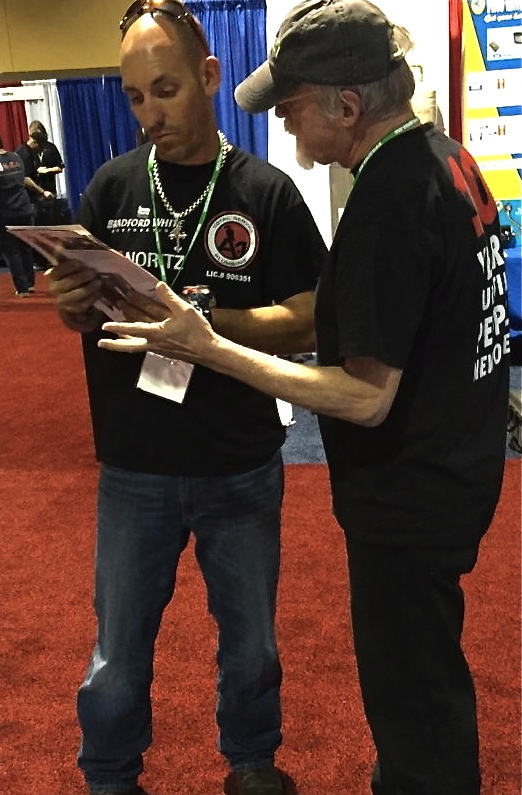 Julio is currently a Director for the California PHCC, both he and Roger have been long time supporters of the PHCC, and on California plumbing committees to support plumbers and the industry. Julio’s nephew Adam provided entertainment with his acoustic guitar and pop music. “Adam was great and could easily entertain guests at practically any Los Angeles affair,” Jay Battin remarked. 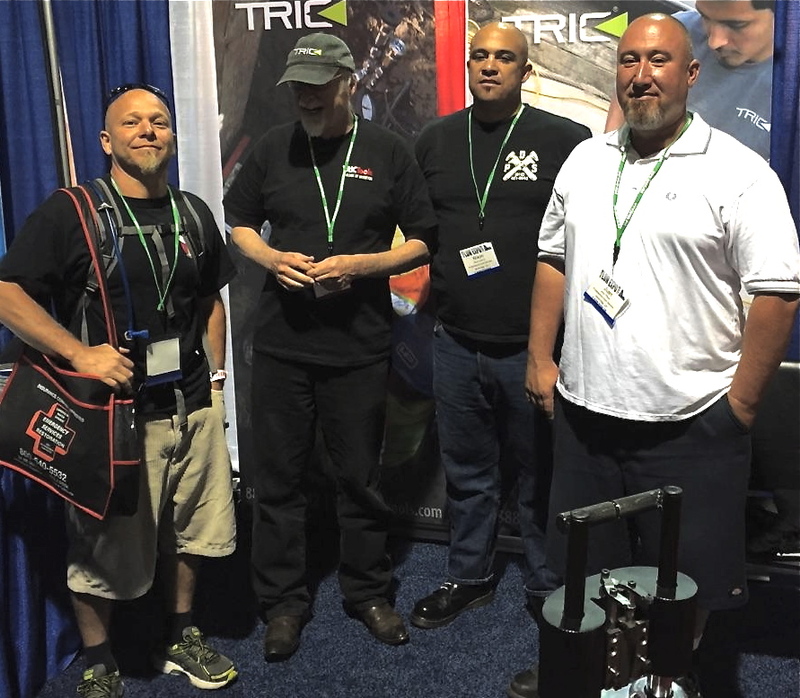 During the show, Roger Lighthart, Julio Jaime and Lee Clifton came by the TRIC Booth. Lee Clifton is the former Chief Building Inspector for the City of Los Angeles who trained Los Angeles building inspectors on the TRIC pipe bursting process in 2000. After over 20 years with the City of Los Angeles, Lee now represents the International Code Council as Director for Plumbing, Mechanical, and Fuel Gas, Swimming Pools and Government Relations. The Plumbing-Heating-Cooling Contractors Association has been helping PHCC contractors reach their goals and combine their strengths for over 120 years. PHCC of California delivers resources and training that advance the PHCC industry as a science and a profession. For more information for a local PHCC association or how to become more involved in the industry, refer to the national PHCC website is: http://www.phccweb.org or refer to the Greater Los Angeles Area website at: http://www.phccglaa.org. In 1997, TRIC established the standards and created the industry for lateral replacement (home’s sewer line) using its pipe bursting technology. TRIC continues to re-engineer its technology for new markets, expanding upon its domestic sewer lateral tools with the introduction of innovative solutions for mainline sewer, drinking water and gas distribution pipelines. To learn more about TRIC or the trenchless industry please call 888-883-8742 or go to their website at http://www.trictools.com.